A Boeing 737 plane has made an emergency landing in St Petersburg due to an engine failure. The UTair plane was carrying 78 passengers and an unspecified number of crewmembers. 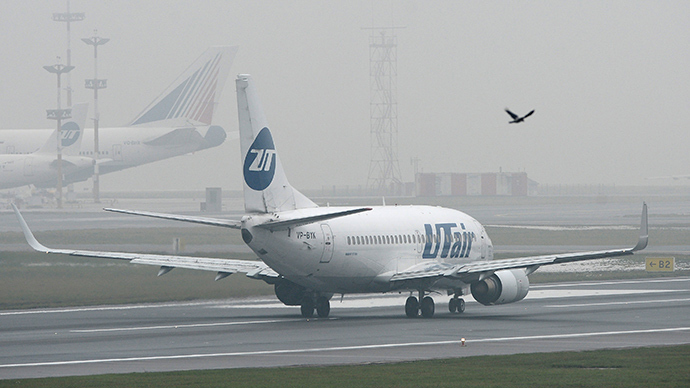 Utair has confirmed that its plane, Flight UT369, flying from Moscow to St Petersburg, made an emergency landing at the city's Pulkovo airport. The plane made the emergency landing "after the transmitter went off, signaling the right engine’s failure,” a source told RIA Novosti news agency. The jet landed at about 12:35 pm Moscow time (9:35 am GMT).